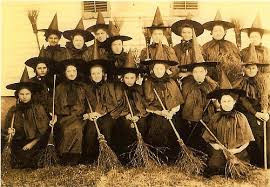 The National Association of Witches in a press statement released online has stated that, they have secured a plot of land and are ready to commence work on their own National Cathedral. They mentioned that, unlike Christians who had the government supporting them in their project, they will be doing it without any external support. The Cathedral of the Witches as it will be called is expected to be the biggest in Africa and will be located just opposite the one that is been built by the Christians in the country. The National President of the witches who spoke with his face fully covered and refused to mention his name stated that they will use just one month to finish the project because they will be using spiritual powers and other form of rituals to aid their work. He concluded by saying that the beauty of their cathedral will make a lot of people beg them to be in their association. We at alakpator will keep you updated on this development.